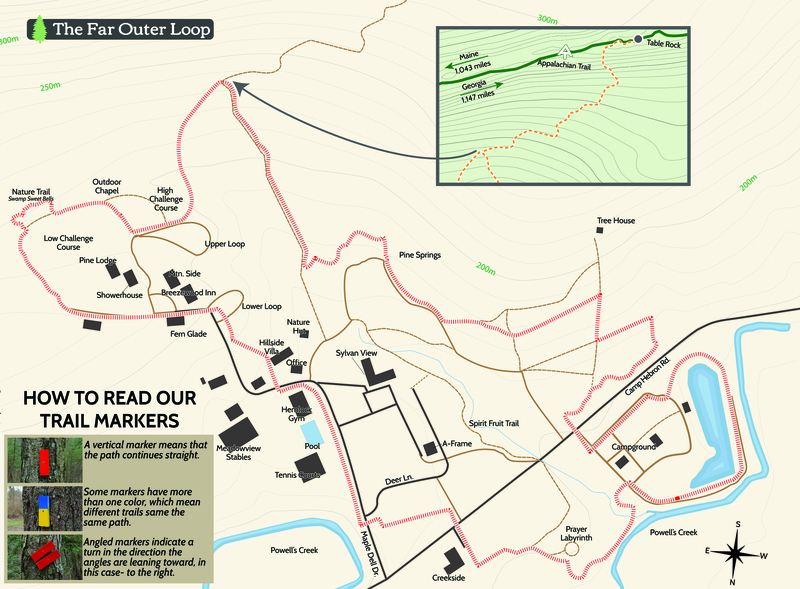 The trail gains over 700’ of elevation to the summit, where it meets the Appalachian Trail (AT) and leads to Table Rock, a beautiful view overlooking Clark’s Valley. 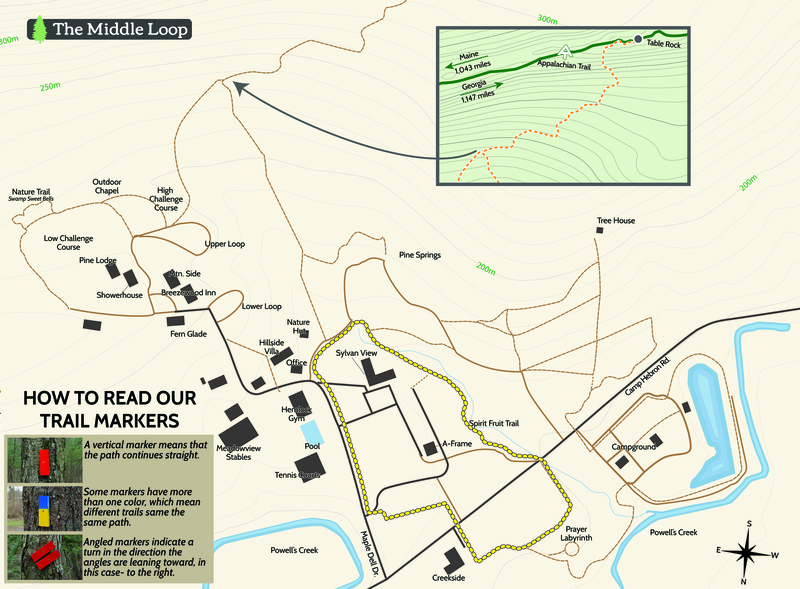 Utilizing mostly wooded trails, this loop passes the prayer labyrinth and the backside of the lake before looping back near the Treehouse, gaining 338’ of elevation. A mostly wooded trail gaining 131’ of elevation. This trail passes the prayer labyrinth, Psalm 104, the Camp Ground, Lake, and the Spirit Fruit Trail. A mostly flat, wooded trail gaining only 76’ of elevation. This trail passes the prayer labyrinth, Psalm 104, and the Spirit Fruit Trail. A flat, mostly blacktop trail with a short section on stone. Located within a short distance of Sylvan View Retreat Center. We love the outdoors at Camp Hebron. We take pride in our hiking trails because guests tell us that they connect with God during these experiences.